As the Presidency of the Ministerial Committee of the Council of Europe, Finland organised a side event on sign language in Strasbourg, France, on 10 April. The side event was organised in connection with the spring session of the Parliamentary Assembly of the Council of Europe (PACE) to publish a study on the rights of deaf people in the Council of Europe and its Member States. The conference on the impacts of artificial intelligence on human rights, the rule of law and democracy, organised as part of Finland's Presidency of the Council of Europe, attracted a larger audience than was expected. Instead of the expected 300 participants, the conference brought together about 400 people. Minister for Foreign Affairs Timo Soini will visit Paris on 28 February to attend a joint meeting of the Presidential Committee and Bureau of the Assembly of the Council of Europe. Foreign Minister Soini and Secretary General Jagland will discuss topical issues in the Council of Europe, such as Russia's right to vote and non-payment of its budget contributions. The Ministry for Foreign Affairs and the Ministry of Justice in cooperation with the Council of Europe are organising a high-level expert conference on the impacts of artificial intelligence on human rights, democracy, and the rule of law. The conference will be held in Helsinki on 26-27 February 2019. Speech by Foreign Minister Timo Soini at the 20th Anniversary Seminar of the Commissioners for Human Rights, “The State of human rights in Europe: forward and back?” Strasbourg 22 January 2019. Address by Timo Soini, Minister for Foreign Affairs of Finland, Chairman of the Committee of Ministers, at the Session of the Council of Europe Parliamentary Assembly on 22 January 2019. Minister for Foreign Affairs Soini will attend the Council of Europe Winter Session in Strasbourg on 21–22 January and hold a speech at the Parliamentary Assembly (PACE) in the capacity of the Presidency of the Committee of Ministers of the Council of Europe. The 20th anniversary of the position of the Commissioner for Human Rights will be celebrated in Strasbourg on 22 January. Speech by Foreign Minister Timo Soini on Women, security and democratization, Strasbourg 21 November 2018. Showing 1 - 10 of 34 results. 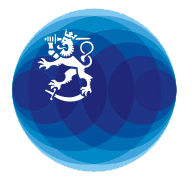 Finland Abroad is a website provided by the Ministry for Foreign Affairs of Finland and Finland's missions abroad.